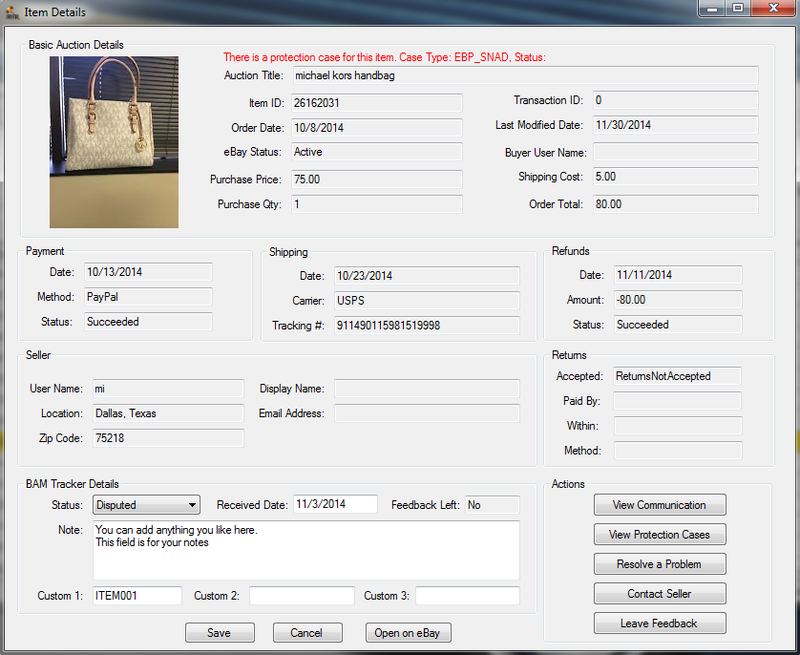 BAM Tracker is a Windows software created specifically for power eBay buyers who purchase large volume of items each month. 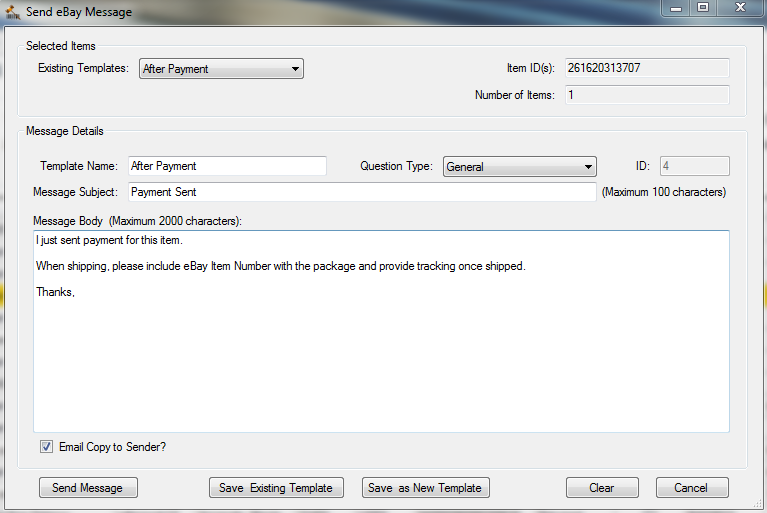 It will help you manage eBay purchases from the time item is won, until it's received, cancelled or returned. If you purchase a lot of items on eBay, you know how difficult it is to keep track of what you already received and what you're still waiting for. Some sellers do not update tracking numbers on eBay or ship without tracking. Others send just the box without any information you can use to identify who given item came from. When you get such items, it's very difficult to figure out where they came from especially if you buy a lot of items each month. 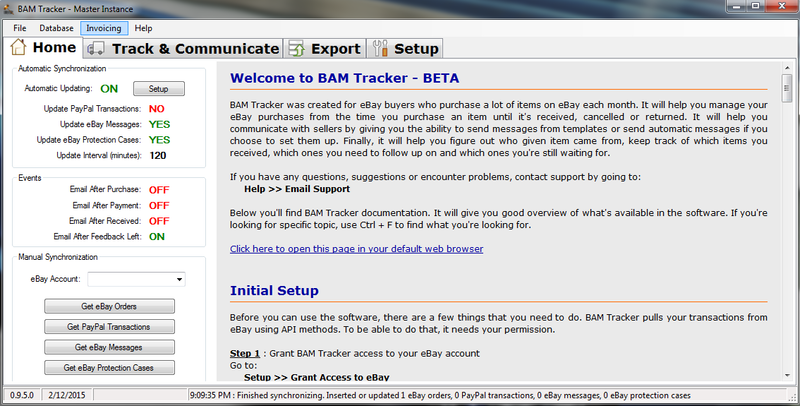 BAM Tracker makes your job of managing eBay purchases a lot easier by synchronizing with eBay and PayPal. It gets new orders minutes after they've been placed and automatically updates existing orders when new information such as tracking numbers, payment information and refunds becomes available. Once you receive a package, you can just search by standard information such as item number, seller user name or tracking number. You can also search by advanced information such as city that given item came from, origin zip code or even seller name and the software will help you find it. From there, BAM Tracker will help you communicate with sellers by sending automated messages or one message to multiple sellers, quickly and easily let you see communication for given item, protection cases and allow you to easily leave feedback. 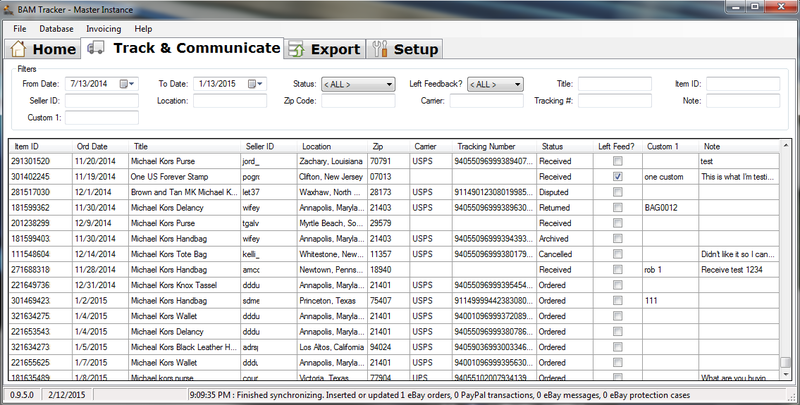 BAM Tracker will improve your eBay purchasing workflow saving you time and frustration.